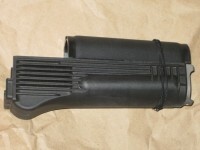 Magpul Zhukov AK handguards. 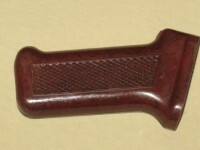 Available in: Black or Plum ..
Surplus Russian AKM bakelite pistol grip in fair condition. 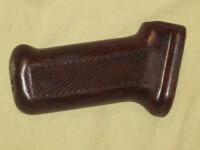 May have deep scratches, ..
Surplus Russian AKM bakelite pistol grip in good to very good condition. 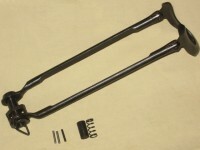 ..
Russian Molot RPK polymer lower & upper handguard set. They are supposed to be plum, but ma..
Magpul MOE AK-47 flat dark earth pistol grip for AK type rifles. 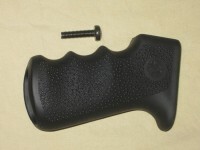 ..
Magpul MOE AK-47 foliage green pistol grip for AK type rifles. ..
Magpul MOE AK-47 gray pistol grip for AK type rifles. ..
Magpul MOE SL AK-47 OD green pistol grip for AK type rifles. 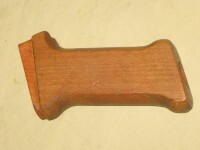 ..
Romanian bakelite pistol grip for AK type rifles in good, surplus condition. The bakelite is in vari..